One of the main advantages of crewed charter is that your personal responsibility and obligations are reduced to the minimum. This especially goes if you rent a fully crewed yacht. 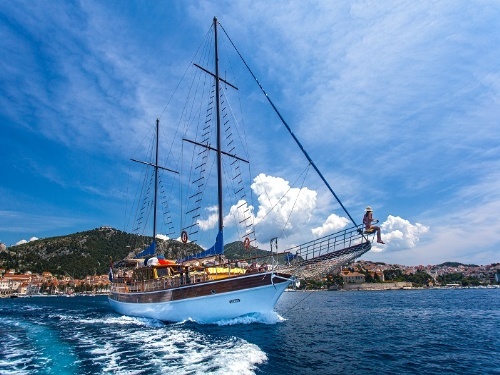 Also, chartering crewed motor yacht means that you want to use advantages of spending your holidays on board some of the most beautiful yachts. 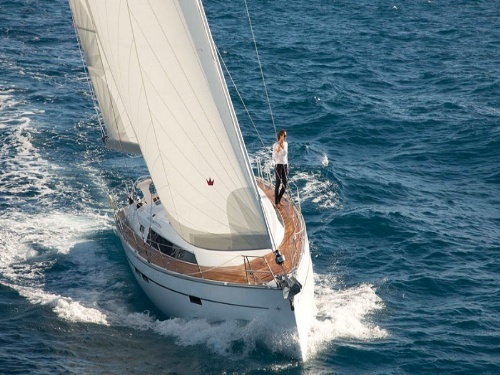 There are 2 types of crewed charters – skippered and fully crewed. Skipper is in charge of operating the boat and keeping everything in order. He can suggest the itinerary and show you a thing or two about the yacht and navigation. If you have enough room on board you can also hire a stewardess to take care of provisioning, preparing meals and cleaning the boat. Keep in mind that it is your responsibility to provide their food and a place to sleep if there are no separate crew cabins. Larger motor yachts are usually available for crewed charter only. These yachts have powerful engines and it takes someone experienced to control them. They are also very expensive and the owners want a trustworthy professional on board to make sure it’s in good hands as well as to provide their clients the best possible service. Here we are talking about VIP luxury charters. When you rent one of these vessels you will have the type of holiday where you can enjoy the privacy, sumptuous luxury, impeccable service, have world class cuisine and above all have possibility to be every day in a different place. From magnificent classic yachts beautifully restored and full of history, to state of the art motoryachts built and decorated by today's cutting edge designers, anything is possible. up to 25% for sailboats bareboat!